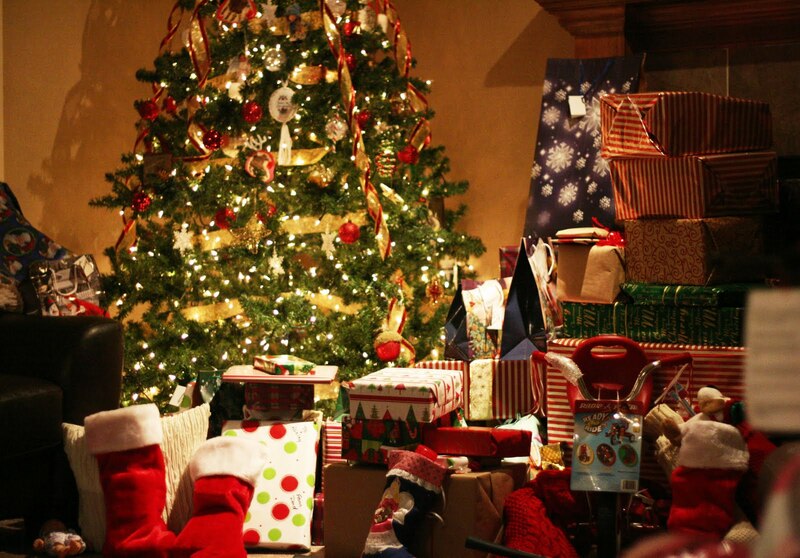 Growing up in a large family of 11 children, you can probably imagine how many presents would surround our Christmas tree every year. Giving gifts was a special thing in our home. It was something my Grandpa LOVED to do and my Dad continued the tradition of giving the kind of gift that you never knew you always wanted. Many times the gifts would touch the heart in a most unexpected way. It became a silent goal of mine to give the gift that would make my parents or siblings eyes well up with tears of gratitude. These kinds of gifts were what we called “Zingers” in our home. It is a tradition that continues to this day. Learning to give good gifts has been such a blessing to my life. I love to touch another life for good with a kind, thoughtful and insightful gift for them. 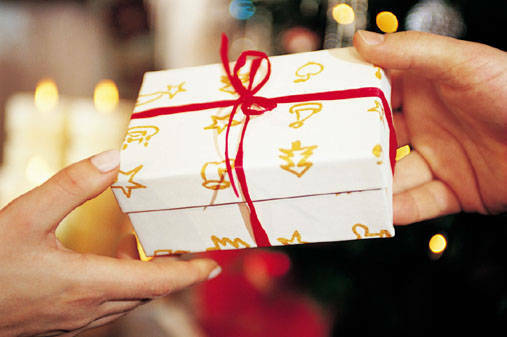 Recently though, I have shifted my focus of being a good gift GIVER to becoming a good gift RECEIVER. Many of us have a lot of practice in giving. We give our time, our energy, our words, our money and so much more, to the people around us. But how well do we know how to receive the time, energy, words and even money from those around us in a graceful and truly grateful way? In my line of work as an energy healer, I notice how often my clients are weak in the energy of receiving. Why is this? 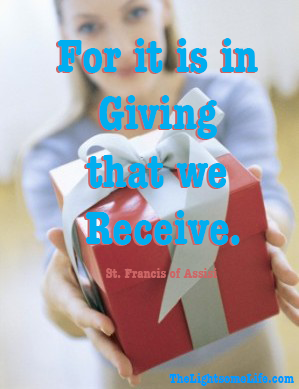 Is it truly better to give than it is to receive? Giving is not meant to overshadow the act of receiving. BOTH are necessary for each act to be what it is. To receive is a very humbling experience. It is acknowledging our dependence and need for others around us. It is our acknowledgement of the Givers place in our life and our appreciation for their awareness of our circumstance. In Latin, to receive essentially means to “take back”. What might we be ‘taking back’ when we are the Receiver instead of the Giver? To be the Receiver, denotes that at one point we were the Giver. In life, we are never JUST the Giver or JUST the Receiver. There is a beautiful energy that can flow between the Giver and the Receiver. The gift of life is to help us learn to be both in good rhythm and harmony. What does it mean to receive? Here are some of my thoughts and feel free to share more of yours in the comments below. -recognize the time and effort gone into the gift. -to see the person giving the gift more than the gift itself. -to feel gratitude that someone else wants to share a part of themselves, however big or small, with YOU. -to give back expressions of love and gratitude. -to open your heart to another’s love. -to not need to “one-up” the gift giver. -to cherish the gift giver. -to want to be a little better. So, during this Holiday season, when so much emphasis is placed in giving good gifts, why not also try to develop the ability to be a good Receiver.